(Tillamook, Oregon) – The tourism arm of Tillamook County, Visit Tillamook Coast, has issued its insider's on the top 10 outdoor winter adventures along Oregon’s Tillamook Coast. VTC’s director Nan Devlin points out that on Oregon’s coast, winter does not mean continual rain; in fact, she says, weather is often mild and warm. (Photo above: Oceanside, in Tillamook County). Here are the top 10 favorite winter season activities, gathered from locals. Beachcombing After Storms. Locals await eagerly the first seasonal storms, not only because they have a front row view of Mother Nature, but also for the summer-like calm that follows, and the treasures that wash up on the beaches. Agates are awesome this time of year, unusual manmade objects may pop up, wild wonders of nature appear (such as sea creatures normally not seen above the surface), or even the coveted real glass floats from Japan. In winter’s low tides, you can also spot the Ghost Forest of Neskowin, a 2,000-year old underwater petrified forest. If you're lucky, low sand levels may show these at Cape Lookout State Park and McPhillips Beach just north of Cape Kiwanda as well, but these are 4,000 years old. Catching Dungeness Crab. While crabbing is always in season, winter brings the biggest bounty. Drop traps in the five bays from a boat, or catch from a dock. Take them home in a cooler or get one of the fish processing companies at a nearby dock to cook them for you. 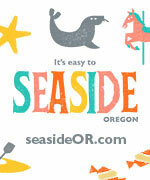 There are three magnificent bays in Tillamook County for this: Netarts, Tillamook and the Nehalem. Kayaking Winter Water Channels. The Tillamook Coast is a mecca for year-round paddle sports. Five estuaries are designated National Water Trails. But there are channels accessible only in winter during high tides. Take a guided paddle with Kayak Tillamook and discover the beauty of winter waterways. Hiking Waterfall Trails. If you want to see waterfalls in all their gushing glory, winter is the time to do it. We have several forest trails that lead to waterfalls. Wear waterproof shoes, not because the trails are particularly muddy or wet, but because the forest's soft dewiness is in evidence everywhere. Scuba Diving the Bays. Above water, the Tillamook coastline is beautiful. Under water, it's a fascinating environment that the few who love to dive are lucky enough to see. Discover the six best places to dive from local diver Brian Cameron. Fishing for Winter Steelhead. Tillamook County's five main rivers start flowing with steelhead in December and January. From north to south, the Nehalem, Kilchis, Wilson, Trask and Nestucca Rivers are all top steelhead producers. And after a big rain, steelhead go from a fish of a thousand casts to one catch after another. Surfing Mammoth Waves. Cape Kiwanda attracts international surfers all year-round. You'll find neoprene-clad wave enthusiasts in the water from dawn to dusk, even during stormy weather. If the ocean looks too cold or wild for you, then grab a beer at the Pelican Pub and watch braver souls through the big oceanfront windows. Camping and Glamping. Winter campers find peaceful pleasures on the Tillamook Coast. Summer's crowds have left, and those pitching trailers, RVs or setting up in yurts (and even a few tents) find themselves among kindred spirits. The beaches are wide open, and you'll have trails to yourself. Bring a book, a journal and a cozy blanket, and let the stars be your reality show. Nehalem Bay and Cape Lookout state parks are open year-round. Glamping refers to newer trends of high-end camping experiences where you manage to bring the best amenities with you, often achieved through the yurts in the Oregon State Parks system or RV's. Eco Adventures on Land, Water. What you don't know about this may surprise you. The Dairylands Tour from Tillamook Eco Adventures gives you a cow's eye view of local dairy farms and treats you to the storytelling skills of guide Brian Cameron. And Garibaldi Charters, which is also a fishing charter boat, brings the bays and estuaries to life with a close-up peek of water habitats. Checking Off Your Bird and Wildlife List. Be warned: birdwatching is addictive, as is wildlife viewing. And winter brings a wealth of possibilities, from migratory birds that find the Tillamook Coast a perfect place to spend the season, to magnificent elk herds that navigate their way from forest to beach. Bring your binoculars and camera, and start at Nestucca Bay National Wildlife Refuge (Tip: Kilchis Point Reserve has a new birdwatching station). See even suggestions from Tillamook County's travel experts here. More of the area below and at the virtual tour and map links from the photos.